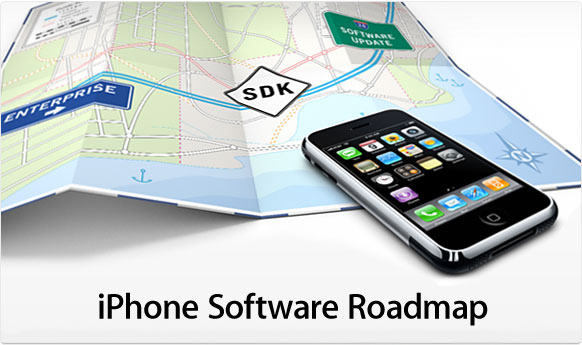 Earlier today Apple announced the iPhone 2.0 software and the iPhone Software Development Kit (SDK). A beta version of the iPhone 2.0 software will be available today, however the finalized version won’t be available to consumers until June. The phone will also be getting much demanded business features such as the compatibility to function with the widely used Microsoft Exchange Servers, which will bring wireless push email, contacts, calendars, and access to encrypted private networks. “We’re excited about creating a vibrant third party developer community with potentially thousands of native applications for iPhone and iPod touch,” said Steve Jobs – Apple’s CEO. The iPhone SDK is available for download for free. With the SDK they’ll have access to the iPhone Simulator and all the information they’ll need to create native applications and distribute it through the Application Store for iPhone and iPod Touch owners. Apple boasts that their Multi-Touch interface, Core Animation, storage space, 3-axis accelerometer, and triangular cellular tower locater will allow creation of even more unique and powerful iPhone Apps. Developers who create iPhone Applications will be able to retain 70% of the sales revenue of the amount sold through the new Apps Store. Developers will also have to purchase either a $99 standard license or a $299 enterprise license. In addition to the SDK-related content, the iPhone will also be getting other heavily demanded features such as the ability to view PowerPoint, Word, and Excel Documents and to mass delete messages. Anyways for the rest of you folks that aren’t interested in make applications but instead using them you’ll have to wait another three months for the final upgrade.